Several months ago I submitted a proposal for a presentation in this year's Massachusetts Poetry Festival. A few days ago I received the good news that my proposal had been accepted. This will be my first time at the festival, and I'm very much looking forward to it. I've heard all good comments about the previous festivals. This year's event will be held May 2 - 4 in Salem. In addition to readings by these featured poets, there will be a generous selection of panels and group presentations. There will also be a number of workshops which you can sign up for. Although the cost of admission has not yet been posted, it has been incredibly reasonable in the past. There is a minimal additional fee for workshops—last year it was $5. Called "The Crafty Poet: A Portable Workshop Group Reading," my presentation will bring together several of the poets in the book. I expect this to be a terrific and varied group. A few of these poets contributed model poems, a few contributed Craft Tips, and one contributed a Q&A poem to the book. We will have a mixture of poems and craft chatter. We hope to send our audience home nicely nourished by wonderful poems and fired up to write some new ones. I don't yet know which date or time slot my presentation will be assigned, but I plan to be in Salem for the entire festival. I've already booked my hotel room for four nights. If you come to the festival, I hope to see you there. Be sure to frequently check the festival website for updates and the schedule and sign-up information which will soon be posted. 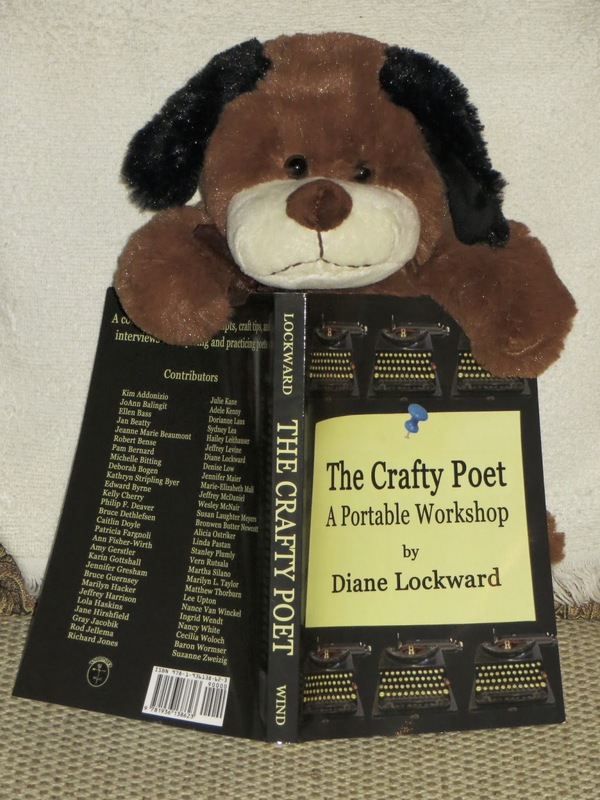 I am so pleased with the response that The Crafty Poet: A Portable Workshop has thus far received. One good thing about having 101 different poets in the book is that I have a lot of ambassadors spreading the word. The book has recently had a nice handful of new reviews. Poet Lynn Domina has created a wonderful blog where she does reviews of poetry books. This past week she included a review of The Crafty Poet which she describes as "both craft book and anthology, but its unique characteristic is the direct relationship between the included poems and the exercises." The entire review delighted me, but these closing words made my day: "Reading through this book, I find myself torn by competing desires: to linger over many of the poems, and to rush to my desk to try the prompts. A book that inspires me to do more than is possible—what a good book that is. I’m glad The Crafty Poet found its way to my hands, and I’m looking forward to leafing through my notebook in a year or so, counting up the poems that owe their conception to this book." I was recently interviewed by Carol Berg about The Crafty Poet. That interview now appears in the current issue of Ithaca Lit. I enjoyed sitting back and reflecting on the process of doing this book—the challenges, the poets who contributed, the differences between doing this kind of book and a collection of poems. Carol asked just seven questions, so there’s not a lot of fluff and stuffing to get through. Ruth Foley wrote a nice review at Five Things. She recommends The Crafty Poet and The Daily Poet as companion books. I’ve made that recommendation myself, so was happy to see that Ruth agrees that these two books belong in every poet’s bookbag. Grace Cavalieri, who is surely one of the most generous poets/reviewers in America, also wrote a lovely review of The Crafty Poet in the Washington Independent Review of Books. Grace reads a book of poetry a day! Then she reviews many of them. I'm also happy to report that eight different colleges and universities are already using The Crafty Poet as a textbook. Lest we forget that I am a poet, I’ve recently had a few poems published in online journals. Sinkholes appears in the current issue of Valparaiso Poetry Review. Many of you will recognize the story in the poem. It was one that haunted me, the idea that the earth could just open up and swallow somebody’s son. Then I also have two poems in Mezzo Cammin: An Online Journal of Formalist Poetry by Women. The first, "My Arty Ars Poetica: A Cento," is made up of lines taken from the bio notes in a journal that asks contributors to send in something about their writing process or how they wrote their poem. The other poem, "A Salmon Swims in My Bones," is a concrete poem, one of maybe three I’ve ever written. My last blog post, A Few Thoughts about Poetry Book Contests, received a really surprising response. First of all, it attracted close to 1000 visitors and is still getting new readers. It spread all over Facebook where it’s received a bunch of Shares and comments. The comments have been largely positive with most people finding my suggestions helpful and on target. Most, but not all. In fact, a few people took me to task. Such objections as I received were in response to just two of my nine thoughts. 4. Think carefully about your organization. Manuscript construction is so hard, but it really makes a difference. It’s the difference between a bunch of poems and a collection of poems. Keep asking yourself, why am I putting this poem here? that poem there? Can you articulate the reason for each placement? The poems should connect in some way. They should follow each other in a sensible order that still allows for surprises. Find some poet pals to work on this with you. #4 is the one I think is absurd . . . I've never read a book of poems straight through from beginning to end, and I never will. Lockstep reading is for prose. Absurd? To suggest that poets pay attention to organization is absurd? Certainly, people are free to read a poetry collection in whatever manner they wish to do so, but not reading from beginning to end results in an incomplete reading. The person who reads that way misses out on one of the pleasures of reading a poetry collection, that is, discovering how the poems relate to each other, how they illuminate each other, how each contributes to the whole. A collection is an artistic arrangement of the poems. Why miss out on that? And if you do want to read that other way, okay, but please don’t suggest that the rest of us are absurd. 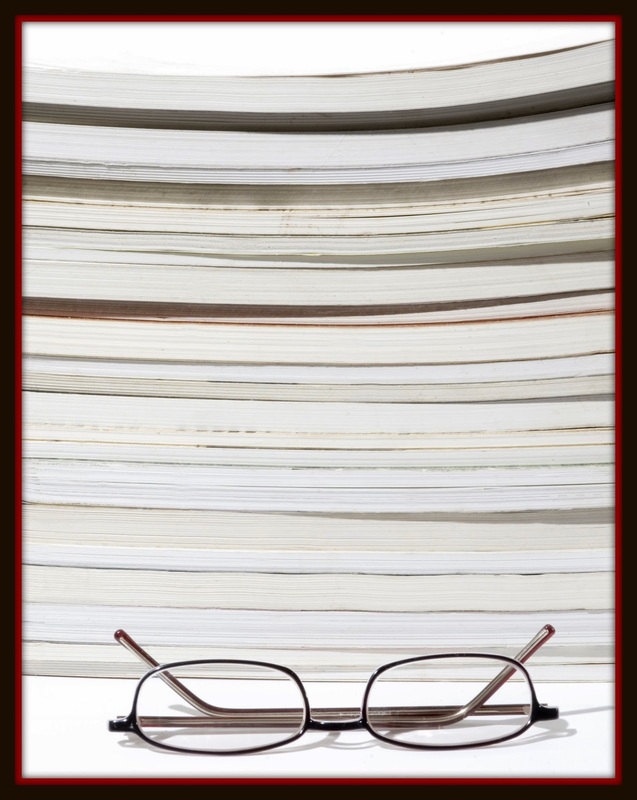 If organization doesn’t matter, then you might as well be reading a journal. But even some journals, e.g., Poet Lore, take the time to artistically arrange the poems. Don’t trust me on the issue of organization? That’s fine. But take a look at this terrific article, On Making the Poetry Manuscript, by Jeffrey Levine, the founder, publisher, and editor-in-chief of Tupelo Press. Levine reads thousands of manuscripts each year and leads the Tupelo Press Writing Conferences in various locations. He knows what he’s talking about. 1) When organizing the manuscript, you aim to create nothing less than a work of art. As Robert Frost famously suggested (in so many words) if there are x number of poems in a book, the book itself is the final poem. You’ll want to think about what your book is “about,” and to include poems that carry those themes, that are somehow related, that “speak” to each other. Also, I find that it’s a good idea to tether poems together that are written more or less in the same creative period, lest they sound as though written by different poets—different versions of you. By this I don’t mean to suggest that a book need be written in any particular time-frame, but rather that the book include poems written during a period (a year, two years, five years, whatever) when your creative strategies have been consistent. Read the rest of the article for an in-depth discussion on manuscript organization and a list of Nuts and Bolts. In my experience as a book editor, the biggest mystery to emerging and sometimes even established poets is how to effectively order a poetry manuscript. As a poet working on revising and re-revising my graduate thesis toward book publication, I didn’t have much idea either. Here’s why: Ordering a manuscript requires a different kind of thinking than line editing or revising your poems—a kind of thinking I hadn’t been taught. A poet I work with calls it “the helicopter view,” which I love. I think of ordering as a kind of three-dimensional thinking, as opposed to the two-dimensional thinking (like using tweezers under a microscope) necessary for line editing poems. Ordering requires seeing each poem from a distance, so that all its sides are visible; it also requires seeing the manuscript as a whole, so that you can decide how each poem and its parts might connect with others in a series. 7. Okay, now I’m going to be petty, but it’s time for everyone to know that you put only one space after a period. This has been the convention since word processors came in. When you persist in putting in two spaces, you date yourself as someone who learned how to type on a typewriter. This is especially bothersome in poems since open space denotes a pause. Bigger space, bigger pause. But did you mean to create that pause? Number 7 is ridiculous, I agree. You're not supposed to put two spaces after a period??? Really???? I guess I do date myself but never realized that rule had changed. It's totally ingrained. I'm doing it right now!!!!! I’m old enough to have those two spaces hardwired into my thumb, so when I'm through I do a search and replace. I call balderdash on one space after a sentence, too. For one thing, if I didn't want a pause, I wouldn't have used a period. For another, my monographs get 40 rods to the hogshead and that's the way I likes it. Hmm. I always put two spaces after a period. Does that make me identifiably and interminably old? Does that mean that someone will be all like, "That poet is ancient! I am so not going to take her manuscript! She learned to type on a typewriter!" Time to break out the the Depends, Geritol, and Boniva, finish book 5 and get that sucka out there! With spaces. Lots and lots of spaces! Still not convinced? Then read this very thorough article posted at Slate, Space Invaders: Why you should never ever use two spaces after a period, by Farhad Manjoo, technology columnist for the Wall Street Journal. It surprised me that some people were just unfamiliar with this rule. It’s really not even new. But even more bothersome is some people’s refusal to make the change. And worst of all is some people’s insistence that they are too old to change, too old to learn something new. I hope I never get to be that person. I mean, really, it’s one space. Get rid of it. I recently judged the Lena Shull Book Contest for the North Carolina Poetry Society. I was sent 19 manuscripts to read (one was quickly withdrawn) and at last selected one by Becky Gould Gibson as the winner. The manuscripts were submitted anonymously, so I didn’t learn the identity of the winner until after I turned in my results. This was a time-consuming job, but one I enjoyed. I felt honored to have been invited to be the judge for the first year of this contest and flattered to think that someone trusts me enough to invite me to be the judge. I’d like to offer a few observations which might be helpful to others planning to submit to some book contests. You should keep in mind that these thoughts come from one person who does not claim to be an expert but who has now judged a chapbook contest, been a first reader for several years for the Word Works Washington Prize annual book contest, and been the final judge for one book contest. 1. The appearance of your manuscript matters. Don’t use a huge font or a very small one and don’t use weird fonts. Secure the pages with a clip that is large enough to comfortably hold all the pages and that can be easily removed by the reader. Hopefully, the judge will be able to rise above a sloppy presentation, but don’t count on it. I found that the poorly prepared manuscripts lived up to their appearance. 2. Don’t overload the manuscript. If you have 70 poems in your folder, please don’t put them all into the book manuscript. More is not better. Choose your best work and have a good reason for putting the poems into one book. 3. Don’t frontload your manuscript, that is, don’t put all of your best poems at the beginning. After the reader gets through those poems, it’s all downhill from there. If you only have 6-10 “best poems,” it’s possible that you’re not yet ready to do a book. It might be best to spend some months reworking your so-so poems until they’re as good as your best ones. Of course, we all have our favorites. Spread those throughout the manuscript. The first priority is the order of the poems. 5. This may be a personal preference, but it seems to me that generally a poetry manuscript works best with some sections. Give the reader a breather from time to time. And please, I’m begging you, don’t clump together all the thematically related poems. Don’t, for example, put all the dog poems into section 1, all the bird poems into section 2, and so on. This makes for tedious, predictable reading. Instead, create threads or strands and weave them throughout your manuscript. 6. While you want unity in your collection, you also want variety. Too much sameness quickly gets boring. Vary subject matter, tone, point of view, length of poems, shape on the page. If you write free verse, an occasional form poem provides variety and surprise. The opposite is true as well. 8. If you don’t win, keep on trying. Figure out which are your weakest poems and as the year goes on and you write better poems, make substitutions. Rework your organizational plan. Keep trying. I’ll repeat that: Keep trying. 9. While you wait for the next round of contests, be sure to buy and read books by other poets you admire. I say buy because you’ll want to dog-ear pages and make margin notes. (Also, you’ll want people to buy your book someday, right?) Then study those books for organization. Study hard. Maybe even put together a group of like-minded people and study and discuss the same books, one at a time. This would be hugely useful and instructive. Do it.